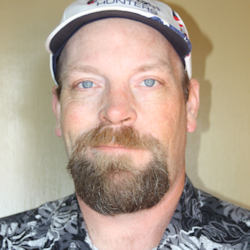 Paul Lathrop is a truck driver who developed a passion for gun rights. This led to forming the Politics and Guns Podcast in February 2012. After bringing on his wife Susan and several co hosts to help, the name of the show changed to the Polite Society Podcast. Besides driving truck and working on the Polite Society Podcast Paul also is one of the leaders who put on the Amm-Con Second Second Amendment Media Conference annually. Paul co-founded the the Network in 2016 and serves as the Network’s Chairman.